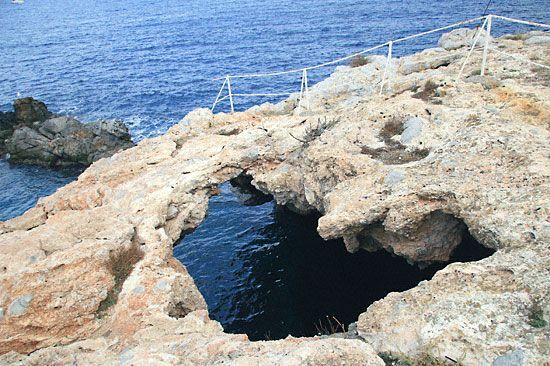 Spilia (Cave) is a popular and usually crowded spot for swimming. 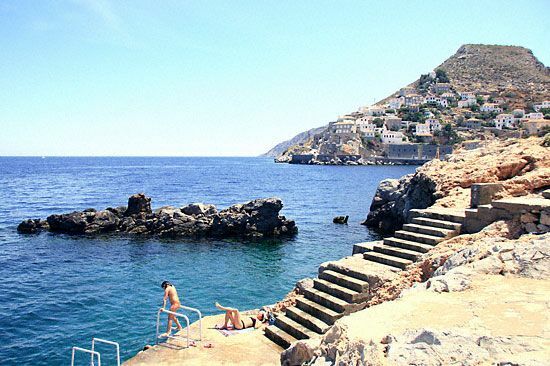 It is not actually a beach, but a rocky area on the west of Hydra's port where the grey crags have been laid with cement and have been transformed to "sun decks". 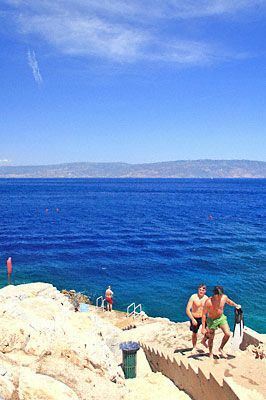 However the water is deep, clear and refreshing. 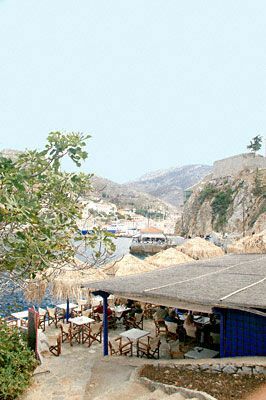 It is definitely one of the most convinient places to swim in Hydra, especially if you are moored in the harbour and you don't want to move. 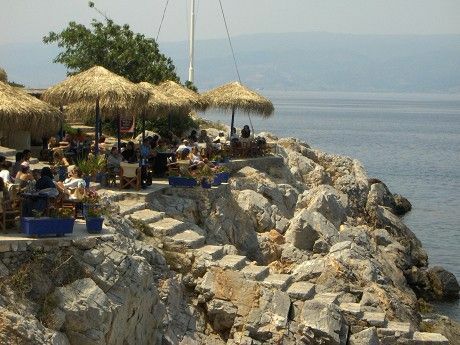 A nice bar just above the "beach" offers snacks, drinks, coffee and excellent sea views!. 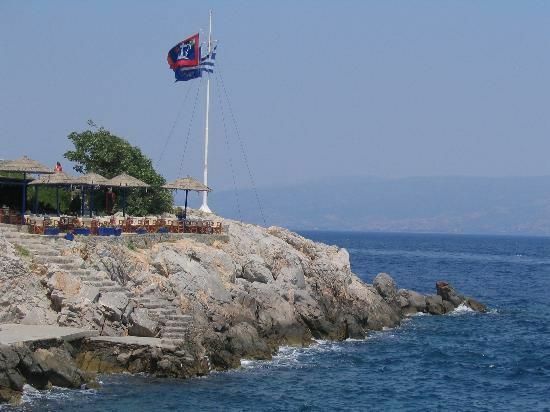 Evaluation: Spilia cannot be evaluated with a high score as as a beach, simply because it is not a beach. 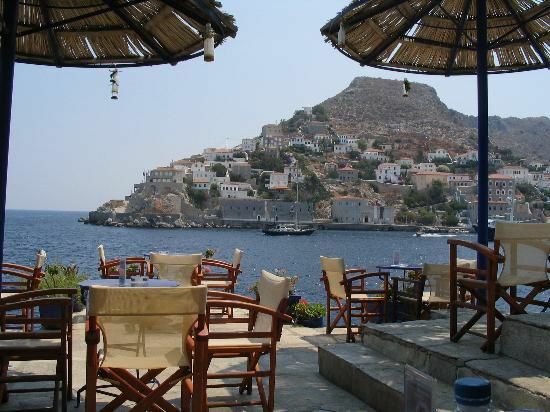 However it is definitely a beautiful spot, due to its unique views of the blue sea and Hydra's port. 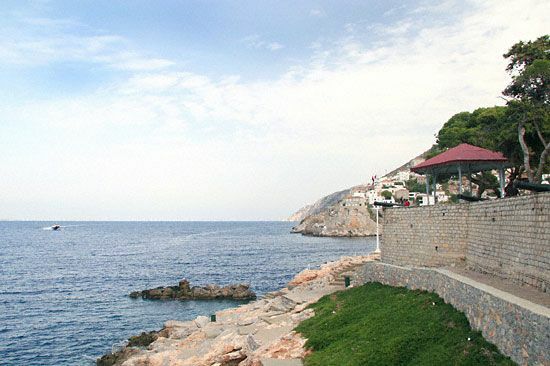 Therefore it deserves our 3 stars just because of that.